With Walters, there’s strength in subtlety. 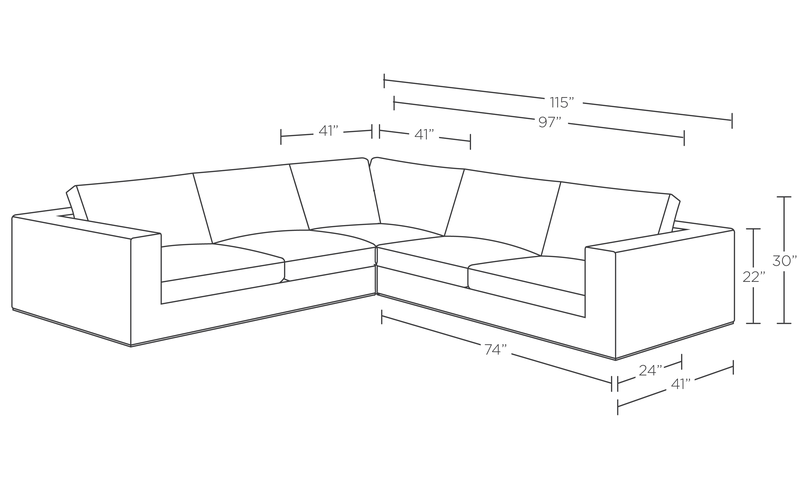 At first glance, you’ll notice the wide track arms and box cushions that give the leather corner sectional sofa a strong, solid presence. Beneath those crisp right angles, however, you’ll find quieter details, like a chrome-trimmed base, mitered corners, and an invisible leg that creates an appearance of hovering.